Editor's note: The BMW 1 series' length and width dimensions were incorrect in a previous version of this story. BMW's latest 1 series has a bigger and better interior to help it challenge rivals from Audi and Mercedes-Benz. "We want to be number one in the (entry-premium) segment," said Juergen Pawlik, product management boss for the 1- and 3-series models. The 1 series has become BMW's third best-selling model after the 3 series and 5 series, with 196,000 units sold globally last year. "The 1 series is a real customer conquering machine with 70 percent of the car's buyers coming buyers from other brands," Harald Krueger, BMW's personnel chief, said. BMW expects 80 percent of 1 series sales to be in Europe. 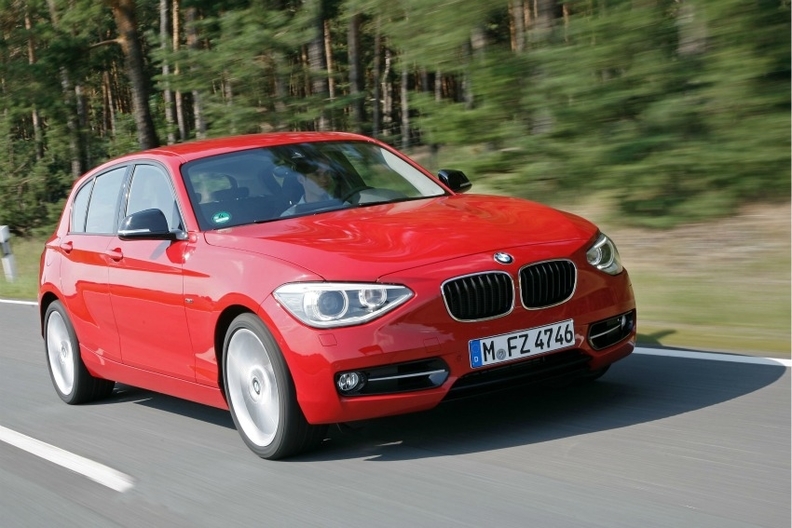 Last year, the company sold 147,900 units of the 1 series in Europe. In comparison, Audi sold 178,900 A3 cars while Mercedes found 190,300 customers for for its A- and B-class models. 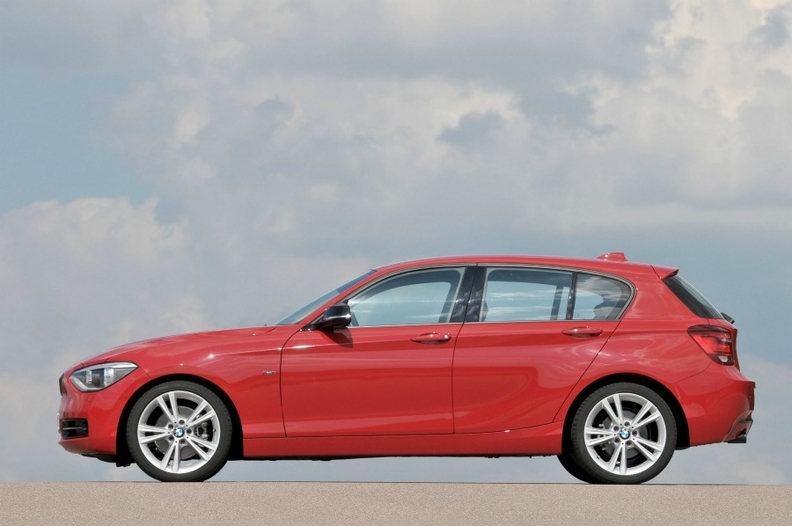 Launched in 2004, the 1 series' biggest weakness was modest interior quality and roominess. Pawlik said both are addressed with the second-generation car, while keeping the sporty and dynamic handling typical for a BMW. The new 1 series is longer and wider than the outgoing car. The new 1 series is 85mm longer and 17mm wider than the outgoing car with a 30mm longer wheelbase. This gives rear passengers more legroom and boosts luggage space by 30 liters to 360 liters. With the entry-level 1-series model family BMW seeks to attract younger buyers. The five-door will arrive in showrooms in September as this is the most popular variant, followed by the three-door next year. Coupe and convertible versions will come to market in 2014/2015, but these may be badged as 2 series. Target buyers: 1-series buyers have an average age of 40 and 40 percent are women. New technology: BMW says the 1 series has many driver assistance and mobility services unique in a compact car, such as lane departure warning with collision warning, and road sign recognition that for the first time also registers signs prohibiting overtaking. What's good? Huge improvement in perceived interior quality, although Audi is still ahead. What's bad? Exterior design could have been more dynamic. The stop-start system works quite roughly and the most powerful engine, the 120d with 184 hp, does not accelerate as impressively as it might. Launch date: Europe, September; China, 2012.